In my overview post on Discovery Education Streaming (DES), I discussed how to use the main homepage (My DE) to begin your search for relevant, engaging, and embeddable video content. However, as noted in the post, DES Streaming has over 80,000 videos and its supply increases daily. Today, we'll look at how to narrow down your search, how to save your discovered content, and discuss a few more ways to get the most out of this great resource. 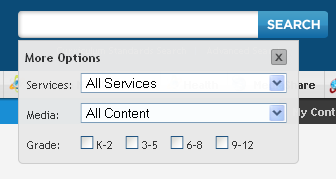 If you're looking for something specific, the top bar search box is a great place to start. Select the service (at ETHS, you can just keep at All Services), the type of media if you wish to narrow, and the grade level (I'd recommend both 6-8 and 9-12 for high school just in case). For example, using "culinary" as a search term, I get over 140 results, and can sort by best match, most popular, or recently added. As good as Discovery is at cycling out older content, sorting by recently added is a great way to access the most up-to-date material. The left sidebar also features more ways to narrow your search, with subject and media type (full videos vs. video segments) being the most appealing choices. Once you've found a great video that you'll want to use from year to year, you'll want to be able to locate it again with ease. The fastest way to do this is to click on "Add to My Content". 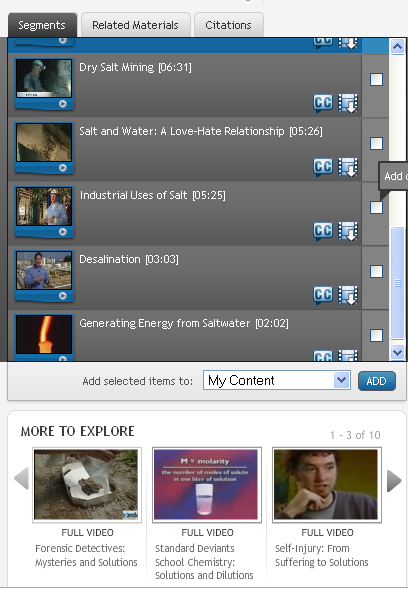 Think of My Content as your personal bookmarking service dedicated to just Discovery Education Streaming. In your My Content, you can view all of your saved videos, organize them into folders, and perform actions such as assign, share, and delete. 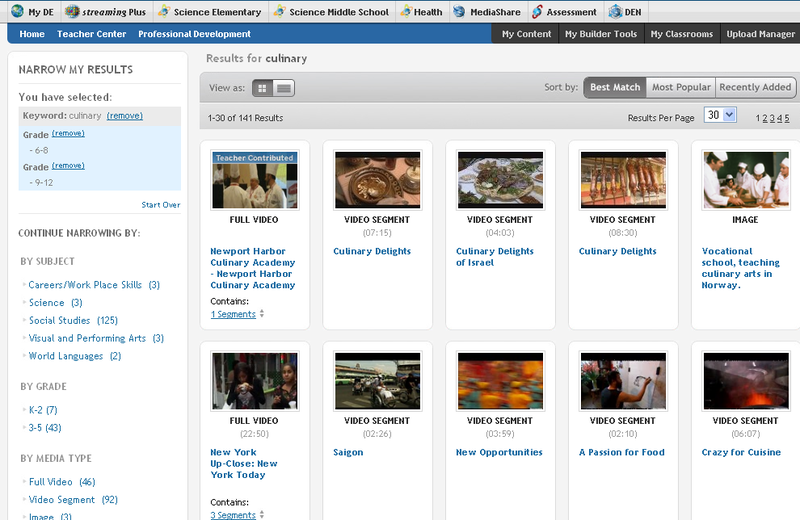 It's very easy to spend a free hour or two browsing through the 80,000+ videos in DES. However, taking the extra 2 seconds to add to your My Content can save you valuable time down the line. Thankfully, most of the videos come with more than just a 2 minute segment or a 30 minute episode. In fact, a growing number of videos (especially those originating from a series like "Mythbusters") will be accompanied by related materials, and this will entail a detailed teacher's guide at the minimum. If related materials are not included, you can find related videos for nearly all segments under the More to Explore box. Again, this makes for very easy searching, and if you're saving videos that best fit your curriculum into your My Content, you'll have plenty to quickly choose from. Continue reading about DES Quiz/Assignment/Writing Prompt Builders. Subscribe to all Chanatown Teacher Posts or via Email here.